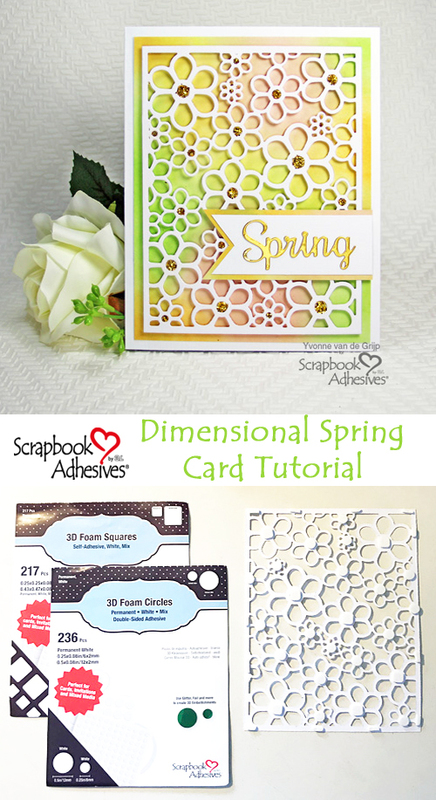 Hi everyone, Yvonne here with an easy to make dimensional spring card! With the dark days we have in January, I long for spring which inspired me to make this warm and colorful card. 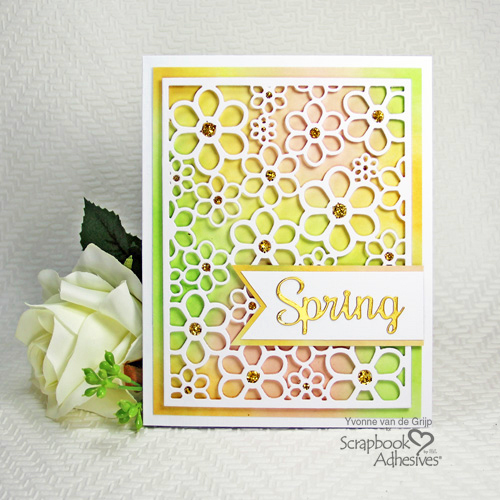 I used soft but happy colors and with a flower die cut background…yep…Spring is in the Air! 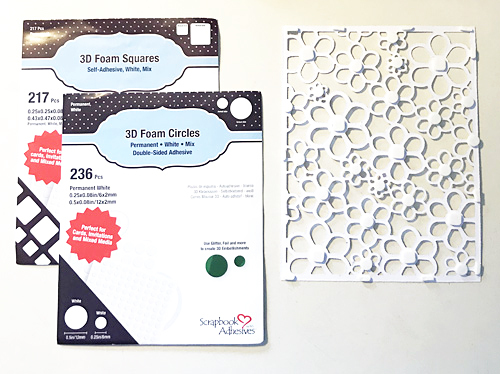 Dimensions are so easy to add to your artwork, simply by using 3D Foam Circles White Mix or 3D Foam Squares Small Size. Let me show you how, along with adding glitter at the same time. Let’s get in the mood for Spring! 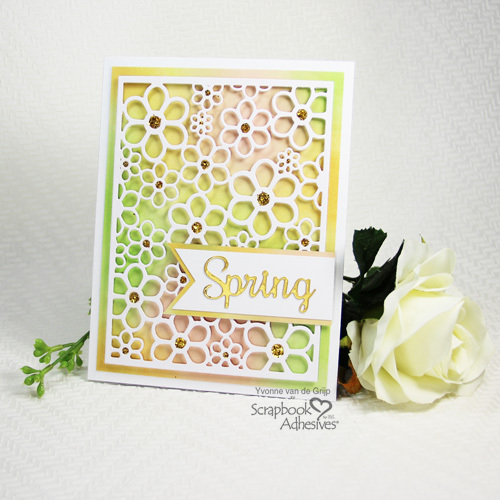 Making that Spring Card Colorful! 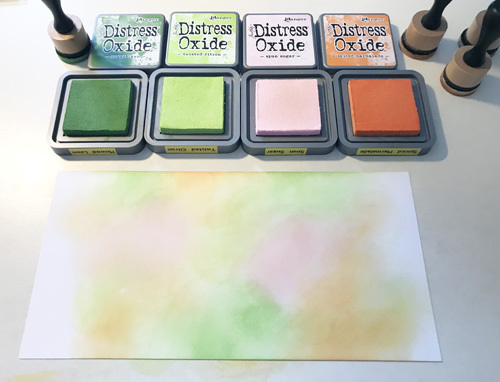 To make the background of the card and a card panel, start with coloring a sheet of white cardstock with ink pads and an ink blending tool. Use happy spring colors. Make sure that your white cardstock is large enough for a card panel and a sentiment banner. Trim your card panel to fit the card base, leaving about 1/4-inch border all around. Set aside with the extra inked cardstock piece. First die-cut a Flower Background from white cardstock and turn it around with the back facing up. Add 3D Foam Circles White Mix to the center of the flowers but keep the liners on for now. Some of the centers might be larger so I used 3D Foam Squares Small Size. Designer’s Tip: use the leftover 3D Foam liner sheet to put under your work as a non-stick mat and to protect your work space. Yep…these back liners come in handy so do not throw them away! 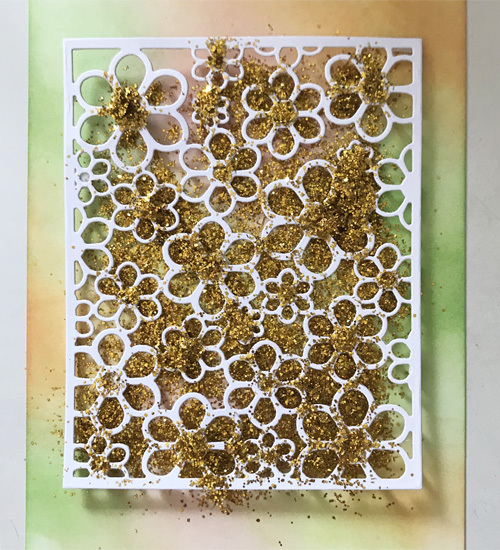 Next, turn your die-cut around facing front to sprinkle gold glitter onto the flower centers. Rub the glitter onto the centers to secure and tap the excess glitter off. To help remove the excess, I suggest also using a brush. 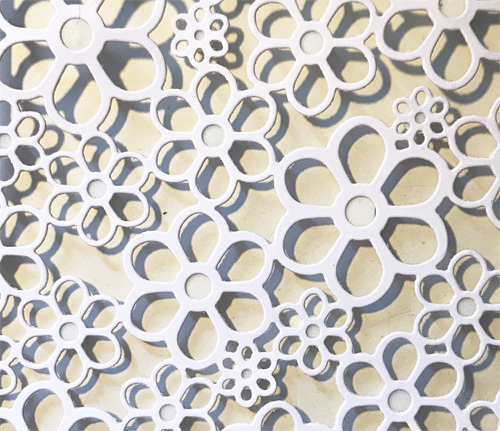 Die-cut Spring out of gold mirror cardstock. Hand cut a banner shape with white cardstock, using the spring die cut as a guide. Then adhere the word onto the banner with the Dual Tip Glue Pen. Adhere the banner to the piece of inked cardstock from step 1 with the E-Z Runner® Grand Refillable Dispenser. Lastly, trim it to a size slightly larger than the banner as shown in the image and adhere with the E-Z Runner® Grand. This entry was posted in 3D Foam Circles, 3D Foam Squares, Adhesives, Cards, Crafts & Tutorials, E-Z Runner® Dispensers, HomeHobby by 3L, Intermediate, Permanent Adhesive, Seasonal Craft Ideas, Skill Level, Spring, Tutorial, Wear your Adhesive on the Outside and tagged 3D Foam Circles White Mix, 3D Foam Squares Mix White, 3D Foam Squares Small White, Card, Card Making, Dimension, Dual Tip Glue Pen, E-Z Runner Grand Dispenser, Glitter, HomeHobby by 3L, Spring, Tutorial, Yvonne van de Grijp. Bookmark the permalink.